WiaB (HWR) Hear Wes Ready! Welcome to Wes Montgomery transcriptions for Band in a Box! 100 songs/solos transcribed for Band in a Box, with Chords Score, Tablature at the correct positions & editable, synced with Real Wes recordings to help you learn the solos with the original sound. 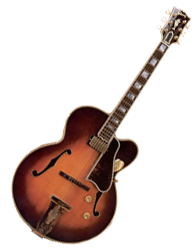 And all the BB abilities like slow down to learn fast passages or transpose the key and backing tracks for Jamming with multitrack Real Tracks styles, and many other features that Band in a Box offers, just tune your guitar and get ready for Hot Wes Montgomery Sound ! Now with Wes Collection comes together a Grant Green 22 Solos/Songs Collection Transcribed into Tab/Score and synced with the Real Recordings! All files are compatible with BB2008 and on for Win & BB2015 and on for Mac! and also to see the Songs List! with all the above but without the real synced sound!